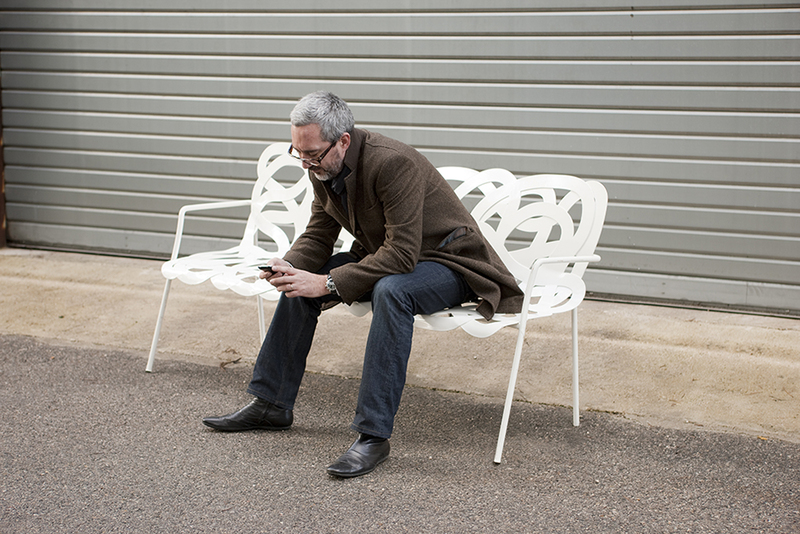 A designer specialising in street furniture, Marc Aurel co-manages the Aurel Design Urbain Studio. With more than 30 years of sector experience, he offers his expertise to help rethink the city for his fellow citizens. Focus on Marc’s career, projects and vision. 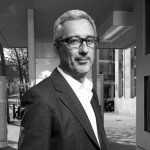 Marc Aurel, today you run the Aurel Design Urbain Studio that manages numerous prestigious international projects. Can you tell us a little about your professional background, how in many ways managed to create your own profession. I studied both at the Fine Arts School in Marseille and at architecture school. However, neither really offered me what I was looking for. I didn’t want to do classical architecture, but nor did I want to be an artist. Rather, I wanted to work for the greatest number of people and have an impact on their daily lives. Urban spaces offered me a more interesting canvas than art galleries. What was your first significant professional experience in this sector? It was twenty-five years ago now! I started working for Willmotte, a large Parisian architecture studio, which was developing rapidly thanks to Jean-Michel Wilmotte’s untiring motivation. At the time, they were involved in a very important project to restructure public spaces in the centre of Lyon. I was propelled into this adventure managing street furniture from 1989 – 1995. This experience was a revelation. Before this, as is often the case at the end of school, things were all a little confused. I discovered my arena – I’m passionate about urban planning! It’s ideal for having an impact on a maximum number of people. Industrial production for these spaces is an important part of my philosophy. Street furniture is at the meeting point between industry and design in a complex relationship between our hands, knowledge and ideas. What kind of state was Lyon in when you started the project? An awful state! This made it an exciting blank space where everything had to re-done. I was at the interface between several projects. We worked with local members of parliament as well as some of Europe’s best architects, artists and designers who had been invited to participate including the likes Michel Desvignes and Daniel Buren. It was a melting pot of skills and ideas. For example, we built some of the world’s first huge underground car parks and we put up art works in spaces that were previously purely functional. The user was always at the centre of our reflections. When you go back to Lyon, how do you feel about the finished project? It’s aged really well! This really touches, especially knowing that I helped change our of view urban spaces – we were inspired by the restructuring of Barcelona for the 1992 Olympic Games. How did you develop professionally following this first experience? I returned to Marseille with Caterina. She is Italian and we’re both from the south, so we wanted more sunshine. She was working as an urban planner and I launched my freelance career as a consultant in architecture, town planning and urban restructuring. I particularly worked with the Architecture, Town Planning and Environment Council (CAUE) for Bouches-du-Rhône and the city of Marseille. I got on very well with the people at the CAUE and I worked on restructuring small municipalities. It was less intimidating than the Lyon project, but I was where I wanted to be. I was working on concrete projects that had an impact on people’s daily lives. And, once again, industrial partnerships were essential in order to design street furniture – I created the immediately successful Clip light in collaboration with Eclatec in Nancy. Because it represented a completely new and atypical kind of urban design. I don’t have the vision of an engineer, rather of an artist. I never neglect aesthetics in favour of industrial concerns. Beauty shakes things up. Both efficient and beautiful, the Clip light was a best-seller beyond French borders, even as far as Shanghai. From then on, I became a reference in my area of expertise and I won two Janus awards from the French Institute of Design in 1997.
Who were your role models as you developed your approach to street furniture? There weren’t any. In this specific area, I have no real predecessors. Of course, there are designers and architects who inspired me, particularly politically active Italian designers such as Achille Castiglioni. But, street furniture had been completely neglected as it was considered to be purely industrial. For me, design is a profoundly political action. I don’t want to be elitist, I want to help as many people as possible. What were your next major projects? The projects flowed after receiving the Janus awards. In particular, the studio won the project to design the Neuchâtel for the Expo.02 in Switzerland (2002), which took five years with 15 partners. We’ve worked across Europe including designing tramways in Brussels and Paris. In Paris, our design for the new tram stops was unanimously approved by the RATP (Parisian Public Transport Authority). This positive relationship with the RATP means that we’ve been involved in further projects such as designing stations for the new T6 tram line, which will open in 2014. There have been hundreds of projects, but I’m particularly proud of our collaboration with the city of Dubai to redesign its centre and with the city of Tripoli before the war in Libya. At the moment, we are working Lebanese capital Beirut to reconstruct the souks – we’re in charge of all the street furniture (such as kiosks and seating). In France, we’re helping build a tramway Metz, which will open next October – we designed the tram stops including one just in front of the modern art gallery, Le Centre Pompidou-Metz. In addition to your work as a designer, you also have a consultancy role in several institutions. Yes, on returning to Marseille, I started teaching in the design department of the Fine Arts School. I’ve also run three or four teaching courses in Réunion. 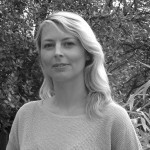 We opened an office over there, which is managed by Catherina, to develop different urban design projects. And thanks to this, we’ve worked on projects such as designing street furniture for the city of Port. The Culture Minister sometimes sends me to Dubai to run workshops and give conferences. I participate not only as a designer but also by sharing my expertise, experience and reflections – our savoir-faire is unique at a European level. I also communicate about the agency to reinforce our position and vision. I give conferences in France, for example at ESSEC business school. I really like this and I’ve become an expert despite myself. But, I sometimes lack the means to express myself. A book was recently published about our work, ‘Domestiquer l’espace public’ (Domesticating Public Spaces), Marc Aurel and Fabrice Pincin, 2011. And now the Urban Design Observatory is set to become a kind of agora, a space of reflection where different experiences can be shared and where anyone concerned by the subject – architects and designers but also students and historians – can help imagine the city of the future. Finally, a huge yet very important question. What do all your projects have in common? What lies at the heart of your approach? That’s a very important question that I can only begin to answer here. Firstly, I want to understand project owner, that is to say the client, and include them in my reflections – incidentally, they often become a friend. I’m not interested in stylisation, I immerse myself completely by trying to understand both the context and the people I am working with. I need to absorb the context in order to create and product good quality and beautiful objects, which are adapted to their environment. Objects were to be considered technical with a specific function. I want beauty to become an essential factor. I am exasperated by styles, creation needs to follow on from what came before. I take in the culture that I discover to avoid makeshift effects. I want to create beauty for my fellow citizens. We often endure daily routine rather than enjoying the spaces around us. This needs to stop. We need to rediscover the surprise of unexpected materials, textures or light in urban objects. This is also political. My father was a worker and design wasn’t part of my culture. I’ve worked in a factory, I know these sad spaces well. Once more, the notion of beauty is central. Beauty produces quality. This is why I want to communicate via the Urban Design Observatory, I want to contribute my expertise, that is to say, a very comprehensive vision of urban objects that places the user at the centre of creation and reflections. The fundamental challenge is to find out what the people for whom these objects have been made really want.